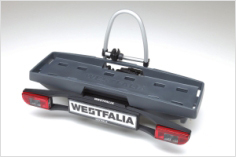 The simply and elegantly designed Westfalia Platform is a robust, rear mounted, weatherproof storage platform that sits on the Westfalia towbar mounted Cycle Carrier. 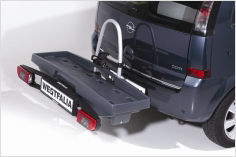 The Platform provides useful additional storage space for garden waste, building materials, etc. 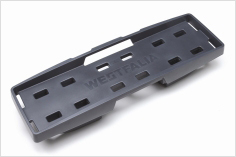 To keep your items secure in transit, straps can easily be fastened to the secure the load. 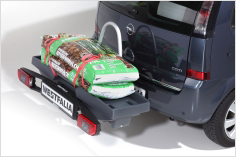 54 kg payload for crates, building materials, gardening supplies, etc.